At the 57th Annual Arts & Crafts Festival in Fairhope, Al. 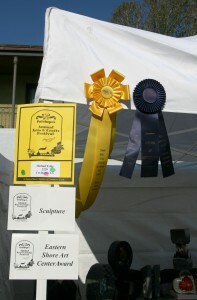 , I recieved an Award of Distinction for Sculpture and the Eastern Shore Arts Center Jury Award. I’m happy that my sculpture work continues to be validated. It feels nice to be recognized.